Pasternak’s “important achievement both in contemporary lyrical poetry and in the field of the great Russian epic tradition" was honored with a Nobel Prize for Literature in 1958. For many readers outside Russia, Pasternak is known mainly as the author of the touching historical novel Doctor Zhivago written in 1957. The novel as a whole communicates the haphazard, uncertain and chaotic quality of life caused by the Russian Revolution and the heroic case of quiet humanism demonstrated by a single person. Pasternak’s translations of Georgian poets favored by Joseph Stalin probably saved his life during the purges of the 1930’s. However, the individualistic Pasternak was not suited to the Soviet artistic climate when art was required to have a clear socialism-inspired agenda and so Russian publishers were unwilling to print Pasternak’s novel. In fact, Doctor Zhivago first appeared in Italy in 1957. Pasternak won his Nobel Prize the following year. Despite Pasternak politely declining his Nobel Prize quoting: “because of the significance given to this award in the society to which I belong”, the award nevertheless spread his fame well beyond Russia. He ended his life in virtual exile in an artist's community in Peredelkino village. His last poems are devoted to love, to freedom and to reconciliation with God. Pasternak was rehabilitated posthumously in 1987. In 1988, after being banned for three decades, "Doctor Zhivago" was published in the USSR. In 1989 Pasternak's son accepted his father's Nobel medal in Stockholm. Pastenak loved his house in Peredelkino, the house and surrounding nature featuring in his poetry. The poet considered the cycle of poems "Peredelkino", which he completed in the spring of 1941, to be his best work. The poet spent the first difficult months of the war in Peredelkino; he completed the novel "Doctor Zhivago" here, wrote the Lara poems and translated Shakespeare and Goethe. It was in this house that he learned he was to be awarded the Nobel Prize for Literature on October 23rd 1958. He died here on May 30 1960. The house in Peredelkino only acquired the status of a museum in 1990, thirty years after the poet's death and a century after his birth. 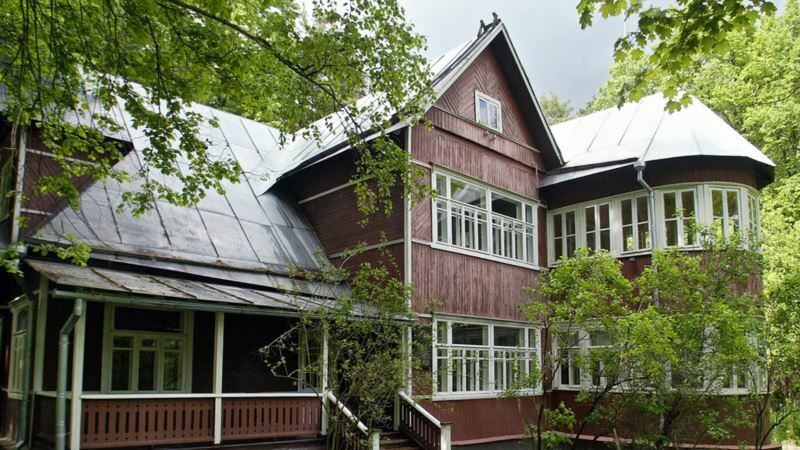 The museum has fully preserved the environment and atmosphere of the house where Boris Pasternak lived and worked. The director of the museum is Elena Pasternak, grandaughter of Boris Pasternak. Pasternak’s grave can be found in Peredelkino cemetery which is situated 20 minutes walk from the poet’s house.